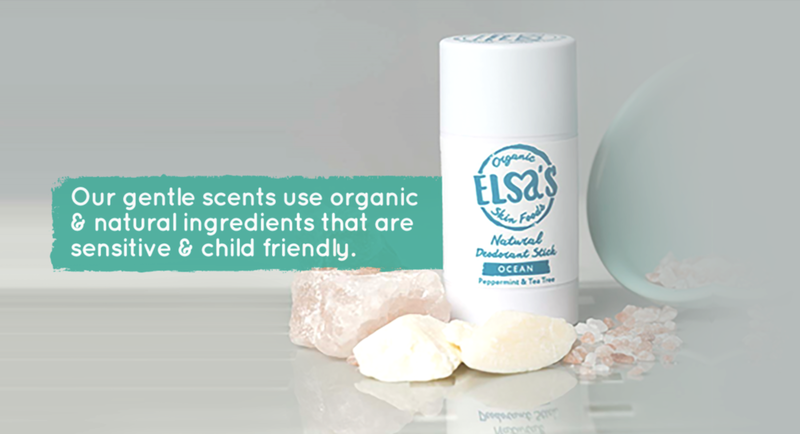 Elsa’s Organic Skinfoods sell 100% natural multi-award winning deodorants, with a mission to raise the bar of natural personal care products to a whole new level of wellness. Harnessing her key strength - creating gorgeous, healthy effective recipes - Henrietta Lampkin has had many years of running a few food business. Over the past 20 years she has made skincare products as a lifestyle and spent the last 3 years perfecting the deodorant line which was launched last year. They have now created a formulation that is 100% effective, deodorises, leaves no stains, smells amazing and is gentle enough for children to use. While using no synthetics, toxic chemicals or animal by products. These deodorants have been rigorously tested by family, friends and sceptics; running, hot yoga, sauna, hiking, boot camp, travelling, long days at work, 5-minute texting and so on. Sustainable sourcing from suppliers who care as much about quality as we do. Deodorant can be luxurious because why not? Elsa’s Organics are offering Merit Club members 20% off all full priced products.